If you missed Friday's broadcast and would like to hear it, click here to find the archive. The songs from this show are listed below. Enjoy, and thanks for listening! The Boogeymen “Domino” from n/a on N/A — Three-track home recording from the late '80s or early '90s. Boston's legendary Boogeymen! The Kaisers “Sugar Babe” from Beat It Up! EP on Ruby Smiles —This song is not on the "Beat It Up" LP. As far as I know it is only on this EP. 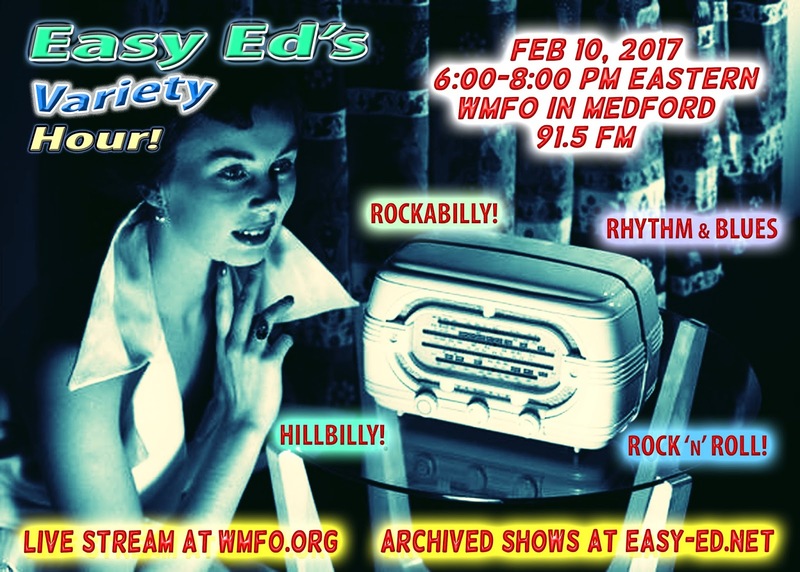 Easy Ed's Variety Hour Feb 10, 2017/The Cranktones Feb 18 at the Midway! 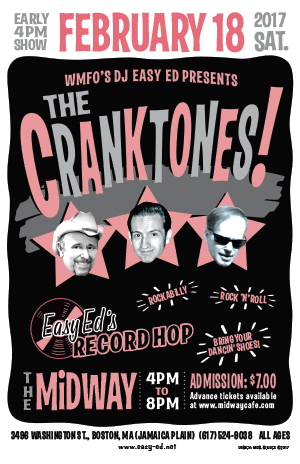 The big news is that Boston's legendary rockin' trio The Cranktones are playing an early show (4:00 PM to 8:00 PM) at the Midway in Jamaica Plain February 18, 2017. This will be a fantastic show! Easy Ed's Record Hop will spin the platters whenever the band isn't playing, so you get four full hours of rockin' sounds. All ages--bring the kids! The Midway is located at 3496 Washington Street in Jamaica Plain. 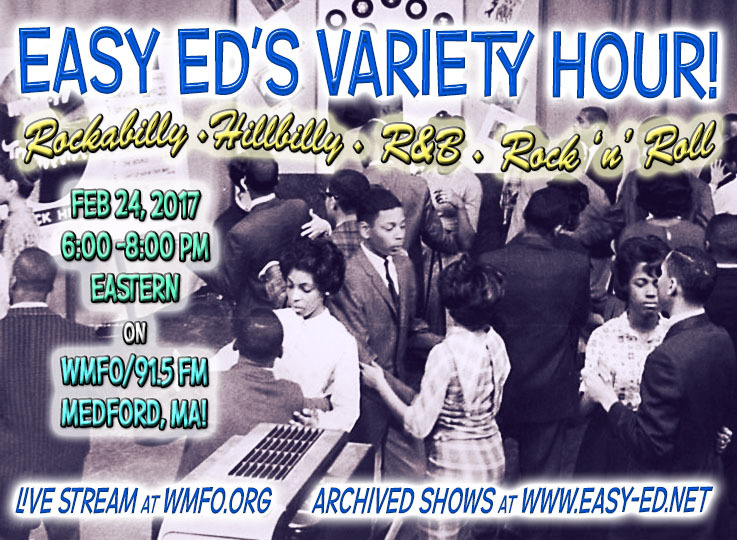 If you missed the February 10 live broadcast of "Easy Ed's Variety Hour" you can find the (always free) archive MP3 by clicking here. Thanks for listening, and if you do listen please let me know on Facebook! You can send information and requests for future shows the the FB page. I usually respond within a day or two. Thanks for listening! 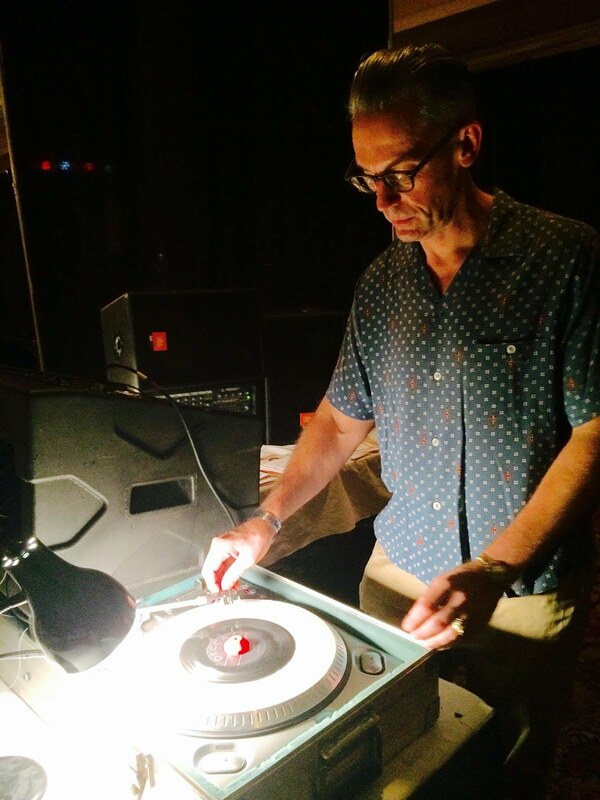 Rockin' Lloyd Tripp and The Zipguns “Miss Misery” from Gone Fishin' on Uranium Rock Records — See him at the New England Shake-Up, Sept 22-24, 2017. The Barley Hoppers “I Hear You Knockin'” from The Barley Hoppers on Self-Released. The Cranktones “Fireball” from Unreleased Track on N/A — See them 2/18/17 at the Midway at 4:00 PM—with Easy Ed’s Record Hop.